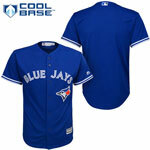 There is no better way to show your fandom then with an authentic Toronto Blue Jays jersey from Canada’s premier online sports store TheSportsDen.ca. 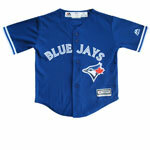 Our extensive merchandise selection features authentic and replica MLB baseball jerseys from Majestic for every member of the family. 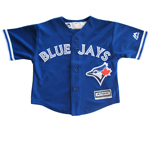 Whether you are looking for infant, toddler, child, youth, men’s or women’s, we offer jerseys for every member of your family no matter their size. 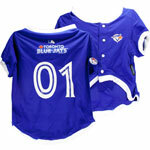 If you want a present day star in a home/road jersey or if you want to represent a legend from bygone days with a Cooperstown jersey we have what you are looking for. 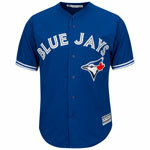 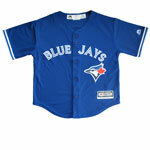 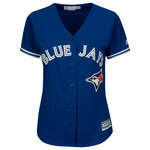 You will always be ready to head to the ballpark to root on the Blue Jays with a jersey from The Sports Den!